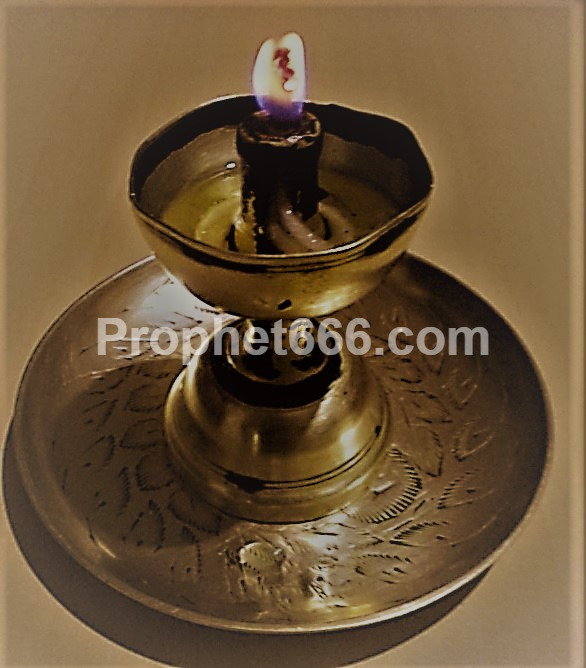 In this post, I have described the method of performing an Indian Magical Trick to make all the objects present in a room glow in the light of an oil lamp. This magical trick called as the Jadu Se Kamre Me Sab Vastu Chamakane Ka Tantra is part of the Tantra on Indian Magical Tricks of the Middle-Ages. 1] In order to perform this magical trick, you have to find the body of a Mongoose who has died of natural causes or naturally on a Tuesday. The practitioner should strictly avoid specially killing a Mongoose and using it for this Tantra. 2] Kapaas Ke Beej of Cotton Seeds have to be inserted inside the mouth of the dead Mongoose and then it should be buried in the ground. 3] Then, a Cotton Plant will start growing at the spot in which the Mongoose has been buried. 4] When, cotton starts growing on the plant, it should be removed and wicks should be prepared from the cotton and placed in an Oil Lamp filled with Castor Oil [Erandi Ka Tel] and lit. 5] The light emitting from the Oil Lamp will make all the things present in the room glow like Lamps. 6] The effects of this Magical trick will only last until the cotton wick is burning and the glow from the objects in the room will vanish.